They’re everywhere, filling books, airwaves, and cable shows with their toothsome tales. Seductive, beautiful, and irresistible, they’re a perfect example of how good public relations can take the dead and turn them into superstars. If you’ve been anywhere near pop culture recently, you know the nation’s been bitten with vampire fever. And if you’re anything like my monster-purist son, you’re probably wishing these sparkling, soft-hearted, new-age-fiend wannabes would grow a pair of fangs and start acting like the archfiends they’re supposed to be. Yet if they do return to their bad boy roots, gardeners will be ready for defense, planting bulbs that give these ghouls nightmares. The one, sure way to keep a bloodsucker at bay is with garlic, a belief that might have sprung from the Romanian tradition of crushing and smearing garlic on everything from doors and windows to livestock horns to repel disease. A known antibacterial, garlic is also shown to help prevent blood clots, some cancers, and reduce cholesterol. While wearing braided bulbs is certainly a fashion statement, the Romanians knew that to get the most from garlic, you have to break the clove. Garlic holds two compounds, alliin and alliinase, in different cells and you don’t get the pungent, sulfurous flavor of garlic until the cells are damaged, allowing the two to mingle. The product they create is allicin, which researchers credit with the most health benefits. 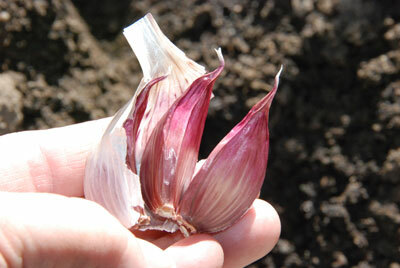 Leave the clove whole, and allicin isn’t created; the garlic is mild, nutty, and well behaved. Chop or crush it, and the allicin activates, imbuing the air with the odiferous tang that vampires, and lovers, find offensive. Garlic thrives in Colorado, and if you want to grow your own protection from vampires, there’s still time to pop some in the ground if you act quickly. Because grocery store garlic might be treated with a growth inhibitor, purchase garlic for planting from garden centers or on-line suppliers. Softneck garlic (Allium sativum var sativum) has a soft, flexible stem at the top of the bulb that makes it THE choice for braiding into ropes and necklaces for warding off vampires. Commonly sold in grocery stores, they grow readily. Hardneck garlic (Allium sativum var ophioscorodon) produces a curled, flowering stem, called a scape, that eventually turns woody. Rich with flavor, they have fewer, but larger, easy-to-peel cloves. Use hardnecks early; they don’t store as long. Elephant garlic (Allium ampeloprasum) won’t help protect you from Dracula and his fiends because it’s more of a leek than garlic. But the big cloves and subtle flavor make this giant a cook’s garden favorite. For best size, plant these three inches deep. Plant now, while we still have four to six weeks before the ground freezes, in a sunny spot with well drained soil. Plant only the largest cloves, saving the smaller ones for eating. Push cloves root end down, one to two inches into the soil, about six inches apart. Mulch to keep the soil moist and prevent heaving during winter. Water the garlic if we’re having a dry spell in winter, then plan to harvest in mid-summer, after foliage browns and dies back. Cure in a dry, warm, dark, airy place for a few weeks, then cut stalks one inch above the bulb for storage. 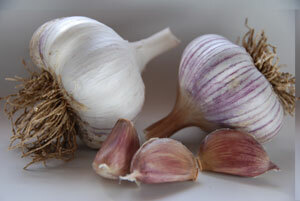 If you didn’t grow garlic and still want to keep the vampires off your neck, don’t worry. According to legend, they’re also compulsive counters, stopping to tally anything in their way. 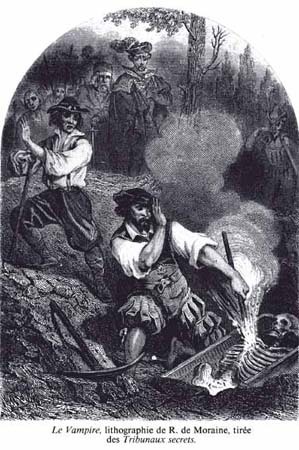 An old trick is to strew millet or poppy seeds around, so that the vampire spends the night counting until dawn arrives and it’s forced to return to the grave. The instructions [in the blog post] are skewed a little bit away from beginners. Measure the height of the root ball to determine depth of planting hole, gently remove soil from the top of the root ball until you find a root branching off of the trunk where the trunk appears to get wider. The depth of the hole should allow the first major root to sit 1 to 2 inches above the soil line when root ball is placed in the planting hole. o The reason being the root flare should be above grade. Dig saucer-shaped planting hole, three-times the root ball width. Straight sides limit root expansion, so to get your tree off to a fast start, slope the sides of the hole. 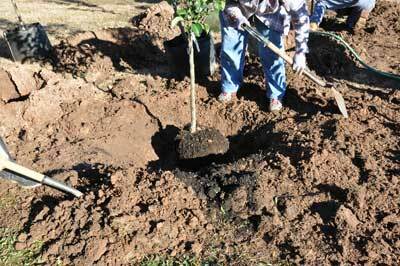 Use the soil removed from the planting hole to backfill, taking care not to pile soil up against the base of the trunk. As the hole is backfilled, use water to settle the soil around the root ball and to collapse any large air pockets in the soil. Do not compact the soil by stepping on it. Amendments to the backfill – such as compost – are not necessary and can be detrimental in some cases. o The reason being you don’t want differential settling, nor do you want soil against the trunk. Halloween is rolling around, when tales of spiders abound, weaving stories of the danger from these beneficial arachnids. Take a closer look, and you’ll realize most of what you hear are myths. A belief in medieval Europe held that the bite from a wolf spider caused tarantism, a condition where the victim jitters around in an uncontrollable dance, eventually collapsing in exhaustion after three or four days. This myth helped solidified human fear of spiders. Yet even though we have such a condition running rampant today, I don’t see anyone hanging effigies of Lady Gaga out to scare people on Halloween. From some reactions to the sight of a spider, you’d think they were carting off young children instead of flies for feasts on the neighborhood web. This is nonsense: as any adult knows, it’s hard to hold a squirming toddler when you weigh 150 pounds, much less 3 grams. That’s where venom comes in. Like parking the kid in front of the television, venom keeps prey quiet and semi-conscious until the spider can eat or wrap it up for later (this scenario is anecdotal; I’m not suggesting you park your child or stun it with venom). Almost all spiders are venomous, but the majority aren’t harmful to humans. Did you hear the one about the black widow always killing her mate? Though generally not true, this is my favorite myth whenever I need to remind my spouse of the dangers of annoying me. 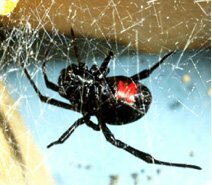 In reality, of the black widows in the USA, only one is known to kill the male after courtship: the eastern ones, Latrodectus mactans. Western widows consider it rude to dine on their dates. Yet even eastern males often make a clean getaway. That is, unless she’s hungry – a state that drives females of many species to murderous action. But if he’s careful and she’s well fed, she won’t kill him. Does everybody swallow spiders in their sleep? According to snopes.com, this myth started in 1993 as a magazine columnist’s demonstration on how anything can be said in email spam lists and gullible people believe it. Spiders don’t have any reason to get into our mouths, unless you go around with it hanging open so insects can live there. They prefer drier locations, ones that don’t snore or mumble. The biggest myth state spider experts hear is that the Brown Recluse (Loxosceles reclusa) is here in Colorado. This is completely false, according to Dr. Paula Cushing, Department Chair and Curator of invertebrate Zoology at the Denver Museum of Nature and Science. Though the black widow is everywhere, few people ask her about it. Instead, she fields hundreds of questions on brown recluse, a spider whose bite can cause a wound that grows but won’t heal. Colorado isn’t part of its natural range, but due to the miracle of the internet, many people think it’s here. Occasionally it hitchhikes into the state on lumber or in moving boxes, but so far it hasn’t established colonies and settled down to raise families. Learn more about spiders on the museum’s Spider Survey website. 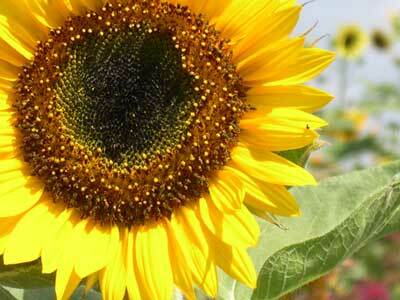 Sunflowers signal their readiness in several ways. The easiest to see is that the ripe seeds start falling out. Pick up a few and split them open to see if the seed is plump with meat, or watch the neighborhood squirrels – they never miss an opportunity for an easy meal. Bagging the head with perforated plastic bags will help keep birds and squirrels from pilfering, but if you want to harvest before you start losing seeds, look for the heads to be droopy and down turned with the back changing from green to yellow/brown. Petals will be shriveled and falling, leaving the plumped seeds exposed. 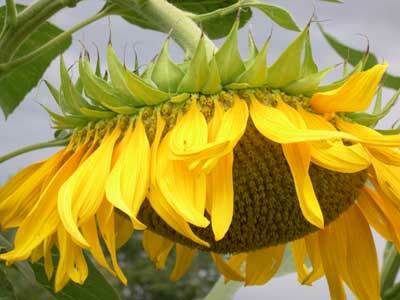 At this point – before the seeds start falling – cut the head off the stem, leaving one foot of stem attached. Hang them upside-down in a warm place until dry and the seeds separate easily. Then use this stem to turn over and hold the head upside down while rubbing the seeds out by hand. Dry and store them or roast them in a 300 degree F oven for 15-25 minutes. If you prefer your seeds salted, soak them overnight in a brine of 2 tablespoons of salt to 1 cup of water. Boil the brine, seeds and all, for a few minutes, drain, then spread them thinly on a cookie sheet and roast in a 200 degree F oven for 3 hours or until crisp. Roasted long enough, they’re easy to shell. Yellow jackets, a wasp that gets very aggressive late in the season, eat many types of sugars and meats. Their predilection for sweets creates an interesting phenomenon in fall around trees that are plagued by aphids. 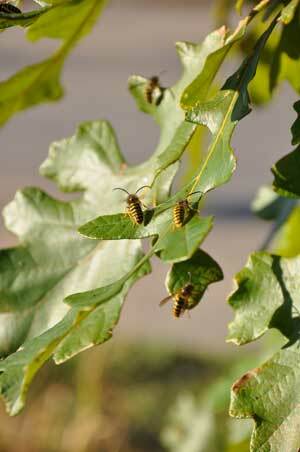 Wasps swarm the tree, flying about in such numbers that homeowners are very afraid. To understand the wasp, first you need to know the aphids – small, soft bodied, sap-sucking pests of many plants found on most shrubs and trees in our area. We have several hundred species of these insects, which come in a variety of sizes and colors, from green to black, purple, and red. 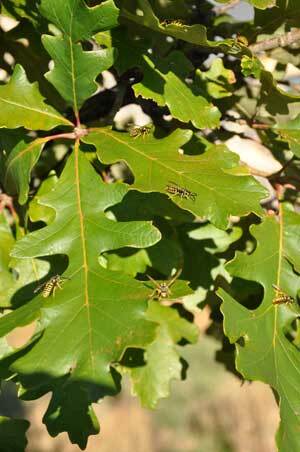 Aphids are greedy feeders, pulling out the sap of the tree so quickly their tiny bodies can’t process all of it. What isn’t used flows out their back end in a sticky, sugary liquid entomologists politely dub “honeydew.” Wasps love this yummy treat, lapping up the sugar snack without a thought to its origin. 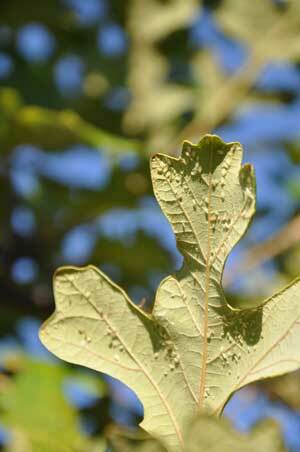 If you have a problem with wasps flying around a tree, check it for large numbers of honeydew producing insects – most likely aphids but it could be scale. The honeydew is what the wasps are after. 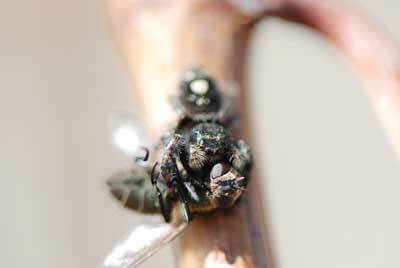 A similar behavior occurred this summer, with wasps scavenging along tomato plants. On closer observation, I discovered that the wasps were gleaning lerps from the plants, which is excrement left by a different sap sucking insect called psyllids. Unlike honeydew, lerps is solid, resembling sugar crystals and apparently tasting like them too. That’s a sweet tooth that’s out of control. There’s little to be done about the tree at this time, since the leaves will fall soon and the aphids will go into dormancy. The time for action is next year, just before budbreak, when you could apply dormant oil to the tree to try and smother aphid eggs. The wasps will eventually die off, leaving only the queen to survive winter. A buddy of mine, Alison O’Connor, is a graduate student at Colorado State University. She’s working on her Phd. in horticulture, and as part of her research, she had to plant 27 trees today. Playing in the mud is always preferable to pushing paper on a desk, so a bunch of us went over to give her a hand. The trees needed to be planted as correctly as possible, and Alison offered us a refresher on proper planting techniques. Planted too low or to high, and the tree suffers, unable to root out to support the 100-year lifespan. Measure the height of the root ball to determine depth of planting hole, which should be one to two- inches shorter than the root ball. Dig saucer-shaped planting hole, three-times the root ball width. Straight sides limit root expansion, so to get your tree off to a fast start, slope the sides of the hole. We had straigh holes dug with an augur, then sloped the sides with a shovel. Remove tree from container, clip any girdling roots, score the rootball, then set tree in place. The “knees” of the rootball – the top edge of the soil – must be about two inches above the planting hole. If your tree has a “dogleg” from grafting (a curve in the trunk just above the graft), turn the rootball so the inside curve faces north. This helps that sensitive spot avoid sunscald. Pack soil around lower third of rootball, to help stabilize it. then backfill the rest of the hole, leaving soil loose. Cast your mind back in the not-so-distant past, to early October last year. The days were warm, the nights crisp, and frost nipped at gardens but the season was not yet at an end. Lulled by temperatures swinging from 21F to 88F, gardeners delayed the chores of putting the landscape to bed for winter. Frozen backflow preventer - photo courtesy of ALCC. Suddenly, the weather threw us a curve ball, plummeting temperatures to a chill 16 degrees on October 10. Plants froze, and so did sprinkler systems. Some were lucky, escaping harm to their pipes. Others didn’t see the damage until spring, when they started up their systems to water yards. That’s when gushers erupted from backflow prevention valves (the brass valve on the outside of homes), cracked by water turning to ice in the sudden freeze. Calls to sprinkler companies skyrocketed, and homeowners shelled out $300 to $400 for repairs. Vows were made to never let this happen again. But Mother Nature is having hot flashes, and our landscapes still need water. The resulting seesaw between day and nighttime temperatures are a roulette game for irrigation damage. But you can keep your system safe with a few tips from the Associated Landscape Contractors of Colorado . – Wrap your backflow preventer for as long as you want to keep your system operational. Water in the preventer can freeze during cold snaps, so if you haven’t winterized your system when temperatures are due to dip, swaddle the backflow device with building insulation or towels, three to four inches thick, wrapping pipes all the way to the ground. Cover it all with plastic, then secure it with duct tape. – Once you decide to put the landscape to bed, winterize the system by shutting off the water and draining the lines. Most systems in Colorado are designs that require blowout, but a few have manual or auto drains to remove water. Should you have one of these, consider blowing out the system anyway, since lines settle over time and low spots often develop that hold water. – Have your system blown out with an air compressor. Even if you’re a do-it-yourselfer for most tasks, blowing out a sprinkler system should be left to the pros. A quick internet search for instructions on how to do this resulted in so many warnings shouted in bold, uppercase letters that it should be taken seriously. According to the Hunter Industries website, using an air compressor to blow out lines can result in flying debris, although they don’t say if it’s from sprinkler heads shooting up like rockets out of the lawn. The caution not to stand over the heads while they’re under pressure is an important safety tip. To ensure your system is undamaged during blow out, look for a company with professionals certified by ALCC. These Landscape Industry Certified Technicians must complete over 2000 hours of practical experience and 10 hours of testing in order to meet the standards of best practices the certification requires. Make your appointment soon, since October is a busy month for companies that offer winterization service. Expect the blow out to cost $50 to $100, but it can save you higher costs come spring.